Don't ask me why it's "Frozen Coke" instead of Coke ICEE now, but no matter. All I care about is the hope that this will taste like my beloved ICEE float from seven years ago. Oh how I have pined for that mystical treat from long ago. Will this be just as good? Nope. Sorry. 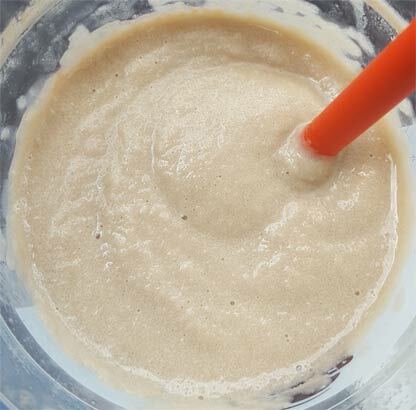 The blending process loses a bit of the magic that held the original treat together. If you want to get all science-y about it, the energy that goes in to mixing the coke and the soft serve has to go someone, and in this case, it goes towards melting the frozen coke. Instead of the two halves keeping each other cold, the more liquidy coke effectively waters down what should be a funner texture. 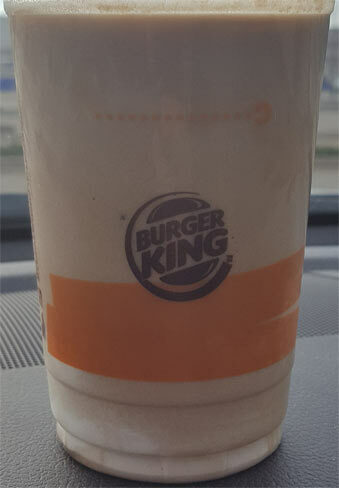 It still has the basically flavoring of a coke float, but I set the bar too high by hoping it would be an icee float. Now this wasn't a total loss at just two bucks plus tax, but I personally won't be racing out to try it again. If you do get it, make sure you get it with some salty fries or sandwich to make sure you get the best experience possible. Side note: this just came out and the first place I went to had stickers up that said "Gone for now" which I assume means they haven't gotten it in yet. Happy hunting! P.S. Just to be clear, this is not a "fizzy" beverage like an ice cream float. Now I know coffee is not your thing so frosted coffee wouldn't be high on your list. Speaking of coffee ice creams, Baskin Robbins IRS Tax Crunch ice cream is TO DIE FOR if you like coffee. It even uses a Kona coffee. The swirl is very much like a fabulous moose tracks, and it's delicious! I have to tell you that I've been liking the Wal mart generic ice cream more and more recently. It's a steal for the very low price. I'd eat it any day over the dairy dessert fluff out there. We tried the frosted frozen lemonades while in Arizona and loved them. Why arent they in Canada? They rock. Yummy. I actually enjoyed the frozen coke...a lot! Thought the blend was just perfect. Refreshing coke, with not too much soft serve in it. Just enough to make it a good mix! C. Hier I was so excited to try the lemon frosted Icee tonight in Aberdeen South Dakota. First they told me they only had orange Fanta and Coke. :( So I had to settle for the orange. When I got it it was nothing but a regular Fanta Orange Icee! So disappointing! They serve ice cream, so I'm wondering why they can't make the frosted Icee. They have it on their sign outside, but they apparently aren't serving it. They probably just misunderstood and gave you the wrong thing, it is drive thru after all. It's that or the soft serve machine was on a maintenance cycle, so they gave you a regular one hoping you wouldn't notice.